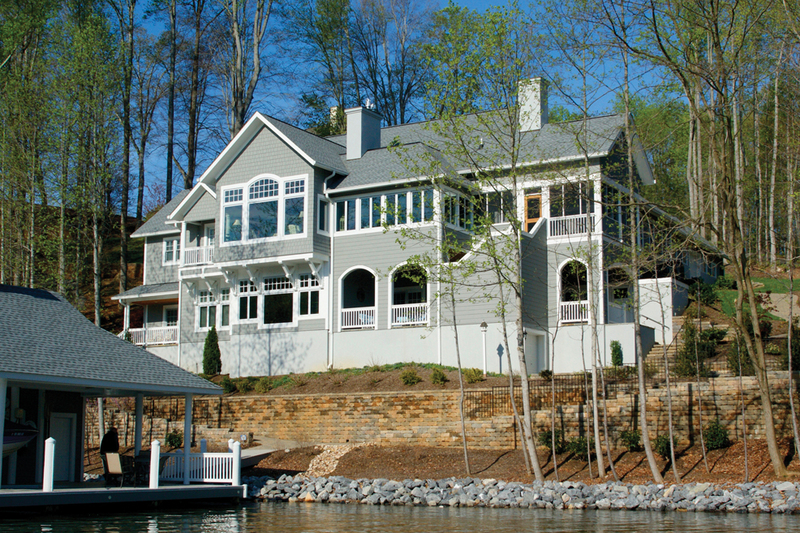 Now in its 24th year, the SML Charity Home Tour has become the most well-known, highly regarded and widely attended fundraiser in the lake area, with cumulative donations to local charities totaling more than $3.7 million. Proceeds from this year’s tour will again benefit eight area charities. Visitors can access all of the homes by car or by boat. 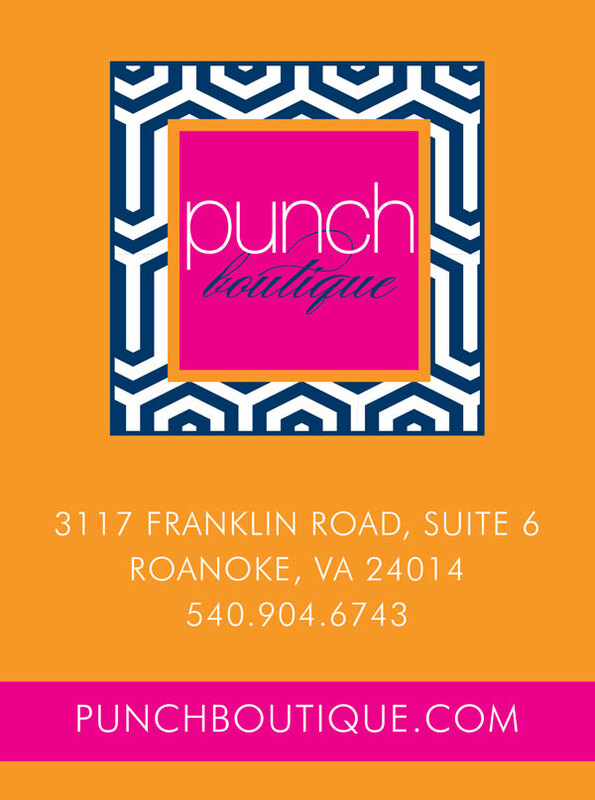 Advance purchase discount tickets are available for $20 at a variety of ticket outlets or online. 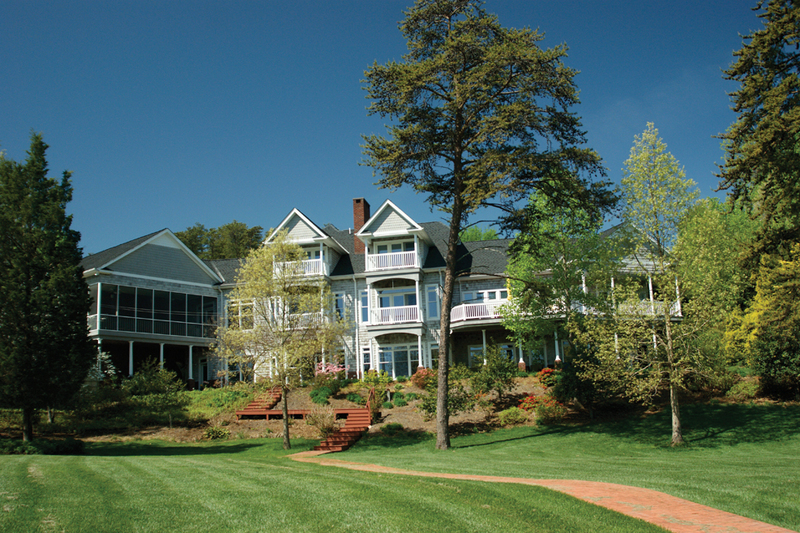 During the event, $25 tickets are available at any of the tour homes or the SML Visitors’ Center. Purchase E-tickets and learn more at smlcharityhometour.com. Enjoy a sneak peek here, then spend a relaxing day at the lake! siding and hardwood flooring. Of special interest are artifacts from the two years they lived in South Africa. 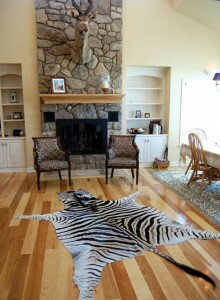 Displayed in the living room are masks, a zebra rug and a mounted kudu head above the fireplace. Downstairs, a home theater doubles as a guest bedroom, with a Murphy bed cleverly concealed behind a faux cabinet. The downstairs entertainment area flows easily to a patio with an outdoor kitchen and fire-pit. 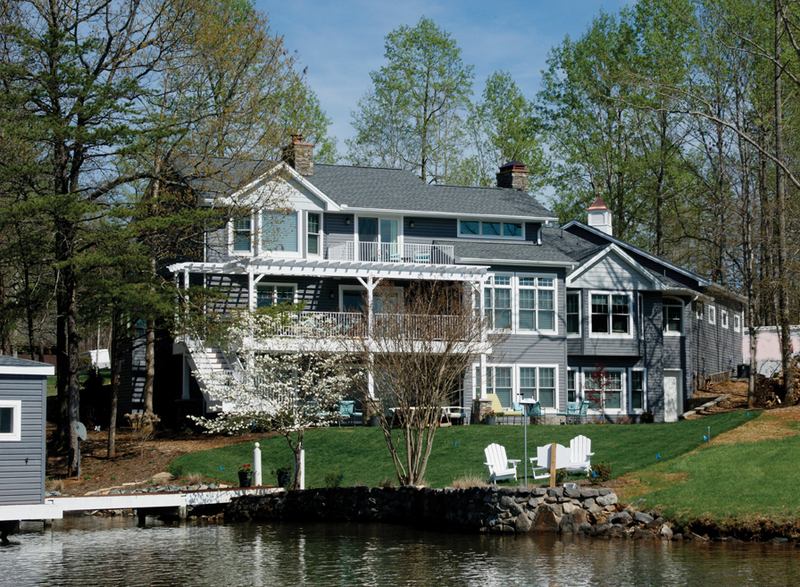 The Oliver home with its matching boathouse sits above the Blackwater River’s main channel with a wide view of the lake and distant Smith Mountain. Empty adjoining lots give this residence a delightful sense of privacy. Mark and Jacqueline Oliver’s 5,000-square-foot home has three bedrooms, plus an office and a stone-fronted fireplace and bar on each level. Interesting items include a driftwood sculpture, Harley Davidson art, rounded curio cabinet and old whiskey barrel. A huge wall unit provides display and storage space for the spacious downstairs family room. The Massa home in Montego Bay offers a lake view and feels expansive and guest-friendly with open-concept living, dining, kitchen and seating areas, bedecked with columns. Pat and Donna Massa have placed family antiques throughout their home, including marble-topped accent tables, an 1800s dining table, buffet, corner cabinet, lamps, pie safe, dough box, trunks and Granddad’s walnut tailor’s bench, now a bar. Collections on display include Rose Medallion china, Delft tobacco jars, Dickens houses, Cat’s Meow miniature houses, birth plates, Santas and Dolton dolls. 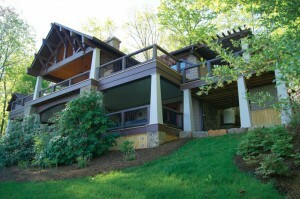 The Wetherel home in Contentment Island has Nantucket-style cedar siding and sits in a landscaped, park-like setting. Bob and Pat Wetherel’s 8,800-square-foot home has many interesting features reflecting 1920s style: medallion ceilings, antique light fixtures, retro tile work, dark wood trim, brick under foot from Roanoke streets and antique doors from old homes in Covington, Roanoke, and Boston. 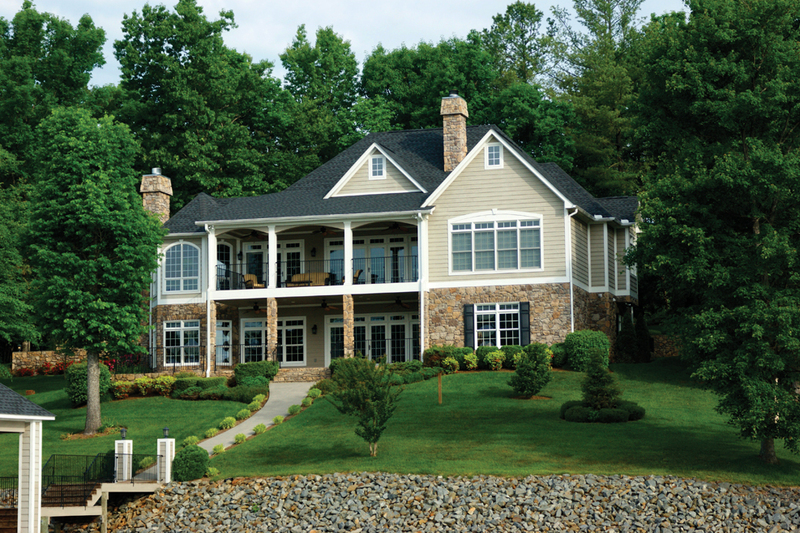 Many porches, with lovely views of the lake, adorn the rear exterior of the four-bedroom home. Three fireplaces—one, double sided—and a theater room are other special features of this special home. 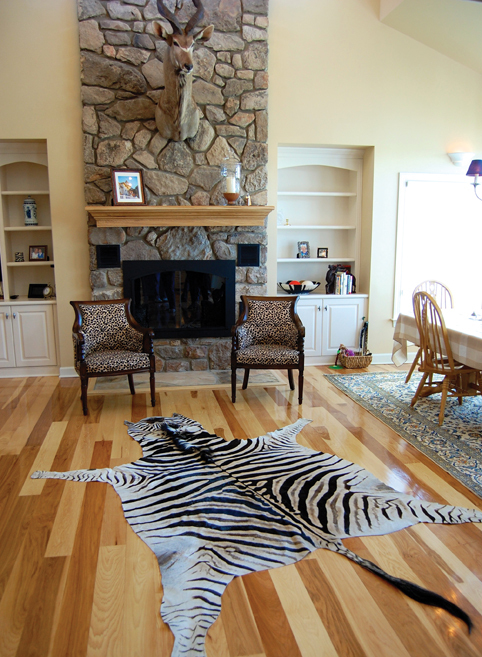 The Munn home on Betty’s Creek underwent extensive renovations plus an addition to satisfy Jeff and Diane’s requirements when they decided it would become their retirement home. 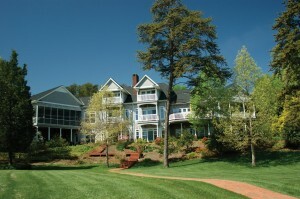 Their architect’s Craftsman “Luxe Lodge” design includes a fully integrated master suite and exercise room. 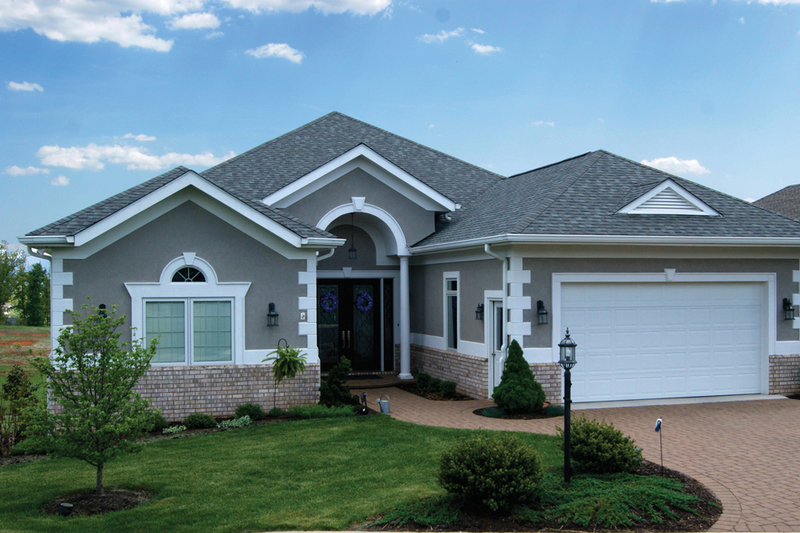 Beautiful beams, wood doors, trim and railings complement the home’s style throughout. Huge boulders stabilize the sloping ground on both sides of this home. 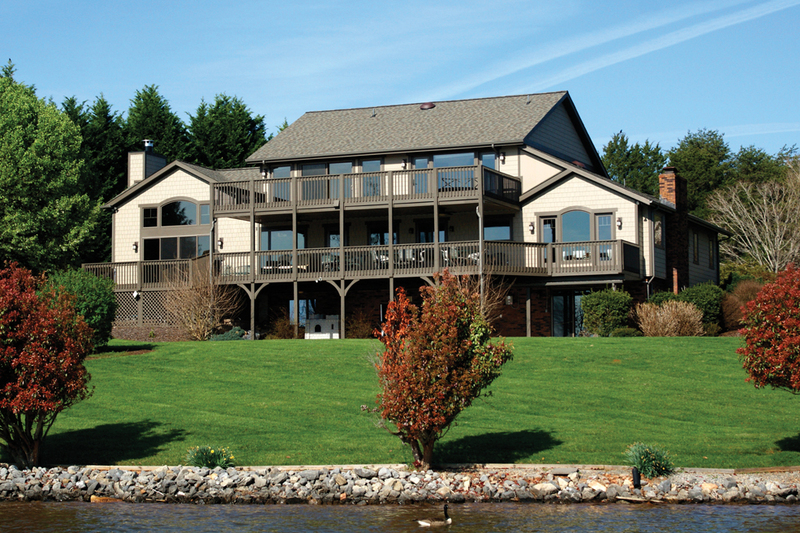 A new dock also matches the style of the home. The Moonan home features lots of intimate spaces in this Cape Cod cottage-style home. It features a great room with huge overhead beams, massive stone fireplace, big windows and pretty white trim everywhere. George and Michele, both widowed, found love again and combined their households when they built this home to accommodate her treasures, George’s French antique furniture and mementos honoring their former spouses. A very steep driveway leads to the front of the house. 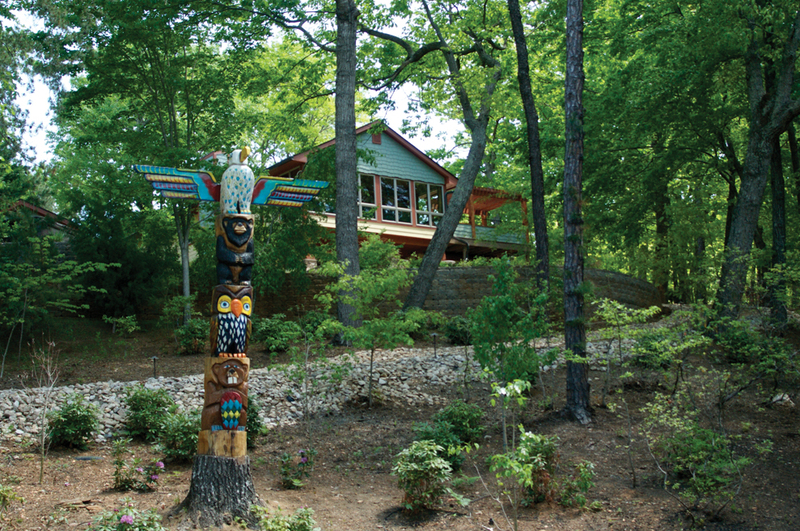 The Brownell/Shaw home demonstrates how a creative couple can update a 5,000-square-foot house while keeping the original footprint. Keith Brownell and Jennifer Shaw had the interior gutted, rearranged and modernized to add functionality and flow with a spectacular great room and gourmet kitchen. Unique stone fireplaces, earthy colors and natural wood details reflect the Arts and Crafts style. A Charles Rennie Mackintosh “Glasgow Rose” embedded in a window in the entryway pays homage to the family’s Scottish heritage. There is a gentle walk to the dock. Previous Post: Large-Scaled Lawn Problems Solved!